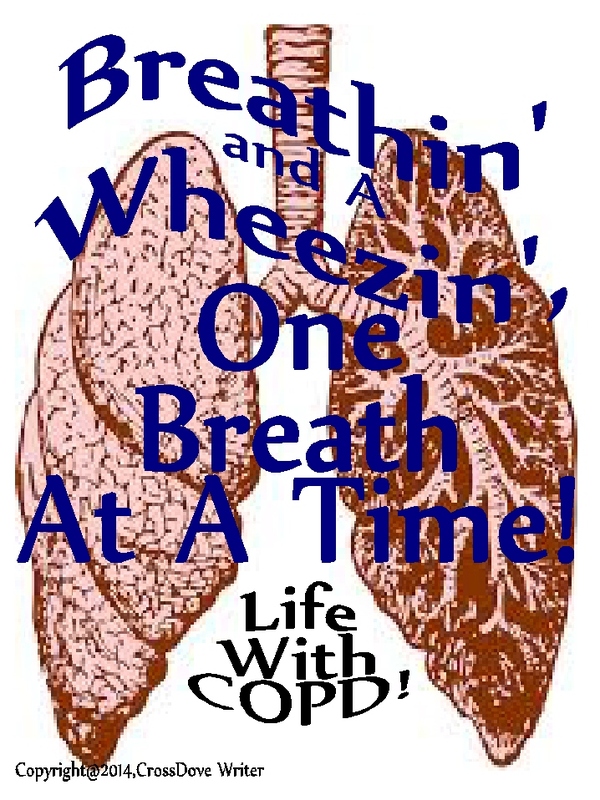 COPD & ME – – Medicare, Government & COPD – Ugh…….. The time frame is getting tighter for me as my two year anniversary comes up for being officially listed as ‘fully disabled’ due to COPD. My next few months may be full of anxiety if I allow it, but at the minimum it will be full of thinking and decisions. Monday I visited with someone about my upcoming Medicare and the supplement programs that will be needed to go with it. While I was pleased at how well it was all explained to me and the ability made to point me in the right direction, it is still on the borderline of overwhelming to a degree. The humor of the week came the next day when I received by mail my initial Medicare Card, complete with more information (government stuff) about the program and its supplements. As I wade through all this information and work on processing what is best for myself and my COPD, I also have the burden of anxiety about what is going on in our government. If the right-wing end of Washington is serious about some of their proposals how it will affect me and my disability payments. Can I afford the prospect of a 20% cut in my benefits – a question most of my readers can answer as well, a resounding NO. I did not ask or purposely put myself in my position of being disabled. I did not ask or purposely cause my lungs to begin to fail me, although we all can look back and find things we wish we could change with hindsight. I did for many, many years pay into a Social Security and Disability through the FICA programs with idea that it would help take care of me when the time came that I needed it – so do not mess with it. Anxiety and stress is not something that someone with COPD and/or heart problems (I have both) should bring into their daily living as it will hamper how they can control that which is already trying to control us every time we take a breath or feel our heart beat. So today it is a touch of anxiety which is also why I took a longer nap yesterday and spent more time watching miscellaneous television today – guess I am trying to avoid some of that anxiousness as best I can. What is causing you anxiety today? Can you call on others to help you with that anxiety today and if you can – will you?